Few people bother giving garbage a second thought. Recycling has become part of the routine. No problem, we separate trash, once a week its taken away. In many places electronics are no longer accepted, we’re begrudgingly getting used to that. Ever pondered animal waste? Millions of tons of dog poop are trucked to American dumps each year. Lets talk kitty litter. An estimated third of Americans are cat owners. Each of those cats use around 275 lbs. of litter a year. Start doing the math, it’s mind boggling. How about dirty litter from the thousands and thousands of small animals like hamsters or gerbils. For the most part all this waste is tightly sealed in plastic bags which won’t be breaking down any time soon. Those bags that do break open spill out, contaminating the site. Cat faeces in particular has the potential to infect birds and other animals. Move on to disposable diapers. Somewhere between 250 – 500 years is the time it takes a disposable diaper to decompose. By age two every child has contributed 1 – 2 tons of waste to the landfill. 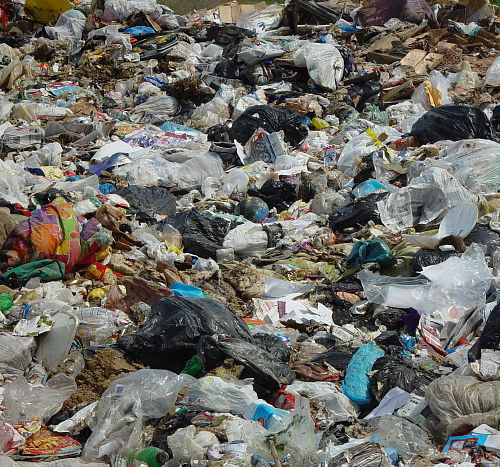 Millions of diapers grace the dump each day, an estimated 2 – 3 % of a landfill is diapers. We wouldn’t dream of putting raw human sewage, diapers aside, into the city dump. I’m pondering the wisdom of allowing animal waste, and disposable diapers. Wouldn’t it make more sense to replace those electronics recycling depots with raw waste depots. I’d take a VCR over a bag of kitty litter in my dump any day. Sept. 22 the fall equinox arrives. Earth doesn’t orbit the Sun straight up and down, it’s tilted on a rather wobbly axis of about 23 degrees. Twice a year the angle of orbit mirrors the angle of tilt resulting in the axis neither turning towards or away from the Sun. This is the equinox, the point at which Northern and Southern hemispheres switch seasons as the Earth continues along its endless path. At the equinox both hemispheres receive about the same amount of sunlight, their days and nights the same duration. Equinox is derived from the Latin words aequis meaning”equal” and nox meaning “night”. Ancient cultures built mind boggling structures for the sole purpose of marking the equinox. Stonehenge and Machu Pichu are two of the better known astrological observatories tirelessly heralding in the equinox with scientific precision. Perhaps you find yourself scratching your head, wondering where all your money went. Your mind boggles as you wander the aisles of the grocery store, you buy the same food yet it costs twice as much. The middle class dissolves, becoming a puddle of television promises .Illusions of your parents white picket fence replaced by credit card debt and struggles to make ends meet. Lay offs, out-sourcing, automation, and bail outs are the new “normal”. Ponder this – A dollar in 1950 had the same buying power as 9.56 in 2012. By 1960 it was down to 7.68, 1970 – 5.99. 1980 – 2.94, 1990 – 1.79 and in 2000 – 1.34. At this rate, ten years from now that will be a mighty small dollar. This link is for an inflation calculator, well worth looking at. Thirty five million years ago, an enormous asteroid crashed into a remote region of Siberia. The heat from this impact fused minerals into diamonds. The 100 Km. wide Popigai crater remained unexplored until the 1970s when someone noticed it held finely compressed diamonds covered in permafrost. Two thousand miles from the nearest railway, and a decision by the Soviet government to keep it secret, patiently it waited another twenty years for the secret to be declassified. Even then Soviet economy was weak; exploration was not practical. It wasn’t until a few years ago when the Sobolev Institute of Geology and Mineralogy began to pay attention, that the full scope of this deposit was understood. To date only .3 of a percent has been studied, and it holds an estimated 147 billion carats of industrial diamonds. We’re not talking the “Hope” diamond here. These are industrial quality, used primarily for drill bits. Extremely valuable just the same. There are likely trillions of carats within the crater. By now most of us have heard about the economic turmoil in Greece. Have you pondered why they’re having such a hard time? Think about this for a few minutes, I guarantee that not only will their problems make sense, you’ll be shaking your head in disbelief. For starters, pastry chefs, radio announcers, hairdressers, and masseurs in steam baths are a few of the 600 professions allowed to retire at age 50, with a government pension of 95% of their last years earnings. The reason you ponder? Due to the “arduous and perilous” nature of their job. For those lucky enough to live in Athens and have a job, commuting to work is free. A state of the art transit system built for the Olympics operates on the honour system. No one bothers to pay. The average pay for a transit worker is equivalent to over 97,000 US. Ticket sales bring in around 130 million US while wages are hovering at over 800 million US. Tax evasion is part of Greek culture. Only 5000 out of a population of 12 million report earnings of more than 140,000 US, while studies show over 60,000 Greeks have holdings in the country of well over a million dollars. The list of astounding reasons for problems in Greece goes on and on. Click below to learn more. Up For Some Plasma Rain? No active sunspots are brewing at the moment. We’ll have to settle for a little plasma rain. 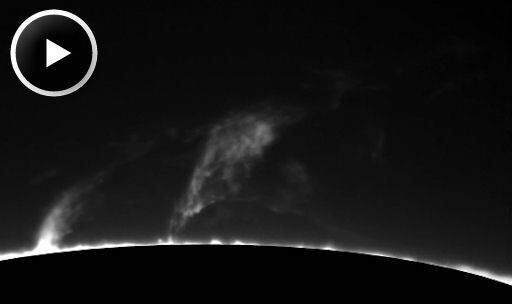 Plasma rain is actually moon sized droplets, falling from the Sun’s atmosphere to its surface. Far from anything we would recognize as rain, solar rain is electromagnetic energy kicking up a fuss. This video from spaceweather.com was put together by Michael Burton of Ocean Beach California.